Cairo, Egypt – 29th May 2011: HP, through its vast knowledge and global expertise, is considered to be the partner of choice when it comes to PC/Notebook hardware training. Providing such training to Egyptian companies will assist them in the process of growing their businesses and increasing their footprint in local and regional markets. HP will provide member companies of the Federation of Egyptian Chambers of Commerce – Information Technology (FECC-IT). ITIDA, the entity tasked with developing the IT industry in Egypt, is aiming at building the needed blocks for the growth of this industry and increasing the exports of Egyptian Hardware and Software companies. 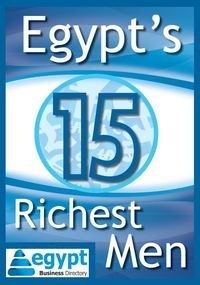 on the Egyptian Economy“ says Hussein Hamza, HP Egypt Managing Director. training, along with other initiatives will have considerable impact” says Yasser ElKady,ITIDA CEO. The MoU was signed by Hussein Hamza, HP Egypt Managing Director, and Mr. Yasser ElKady, ITIDA CEO.